Looking for fresh color palette inspiration? 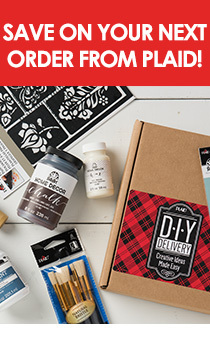 Download this FREE eBook for nine trend-inspired DIY projects featuring FolkArt acrylic paint! The trusted quality of FolkArt Acrylics makes this the premium acrylic paint for any craft, DIY, or art project. FolkArt Acrylics, known for their artist-grade pigments, provide excellent blendability and superior coverage. And it’s the perfect brand of paint for stenciling, stroke work and detail painting. Be inspired! FolkArt has created three new color trend collections: Cottage Chic, Coastal and Romantic. Whether creating a small trend nook in your home or decorating an entire room, these inspirational color trend projects will teach you step-by-step how to recreate home decor following the trend of your choice. Once you've completed the projects in this eBook, try your hand at the projects featured in one of our other free eBooks, Simple Decoupage Collage Art!